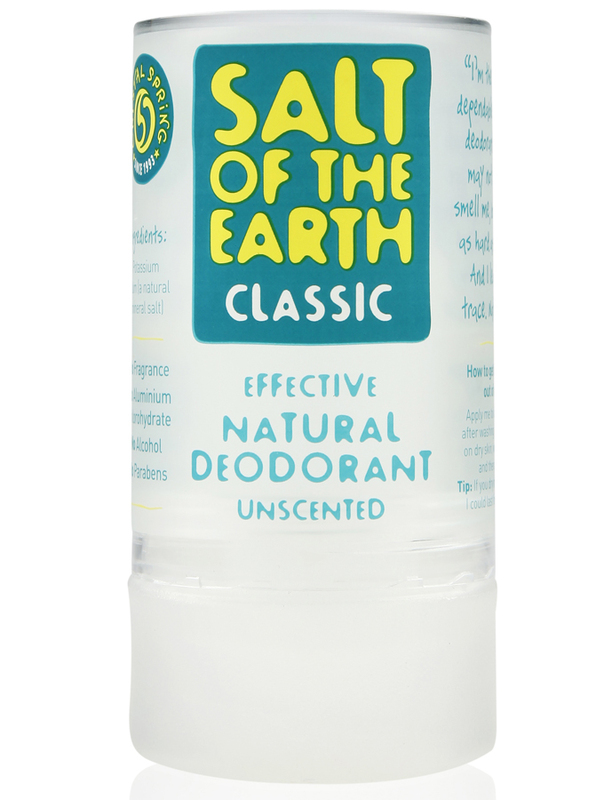 This award-winning natural deodorant has been gathering fans for over twenty years and we can see why. The Salt of the Earth Classic Crystal is made out of pure potassium alum, a natural mineral salt. When applied to damp skin after washing, it leaves a thin layer of natural mineral salts on your skin, inhibiting the formation of body odour. This 100% natural deodorant provides you with long lasting protection and is suitable for adults and children alike. It’s unscented so will not interfere with any other fragrance you choose to wear and will last and last if dried out after each use, providing excellent value for money. The Salt of The Earth Crystal Spring Natural Deodorant - 90g product ethics are indicated below. To learn more about these product ethics and to see related products, follow the links below. I was debating whether to buy this, but when my sister recommended this to me, I decided to give it a go. I have had a back-and-forth problem with deodorants and antiperspirants for the past few years, where I sweat a lot and have to use strong deodorants, which make my armpits sore... which in turn makes me need a stronger deodorant. But this is gentle on my skin and doesn't let me smell even if I have just worked out. The best deodorant I have ever used. 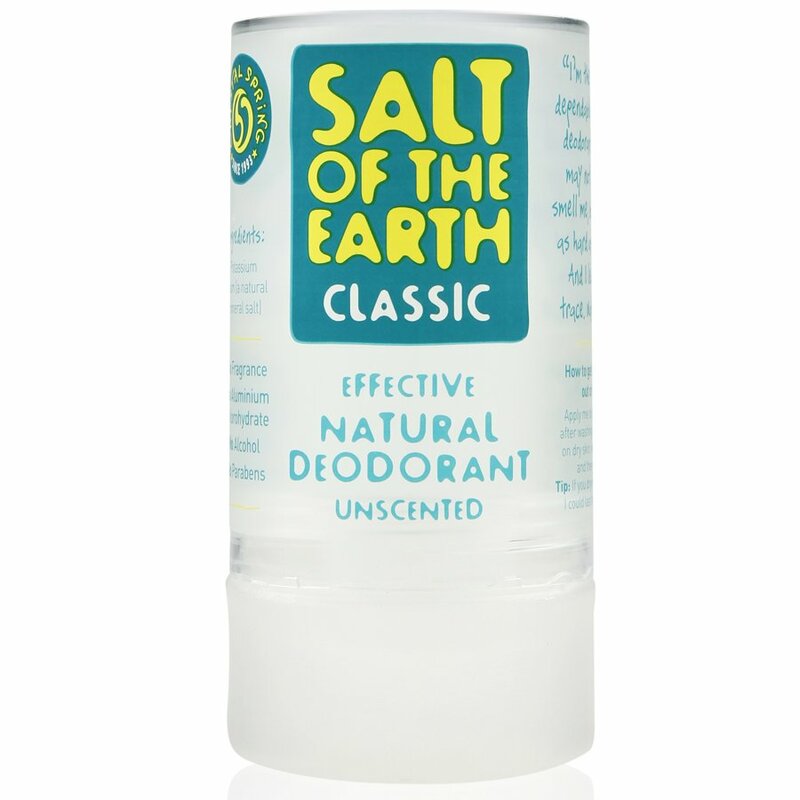 There are currently no questions to display about Salt of The Earth Crystal Spring Natural Deodorant - 90g. Since 1993, Salt of the Earth has been producing quality, natural skincare from all natural crystals. After 20 years of experience, they have found that the active ingredients rest on the skins surface and give you lasting protection as well as not leave you with unsightly white marks on your clothes. Salt of the Earth pride themselves on their ethical values and none of their products are tested on animals. Each product is also suitable for vegetarians and vegans.